A beautiful card Sassy. Very striking in the red. This is gorgeous Sassy. I love the pretty image and your colouring is so beautiful. I hope you manage to get some rest and remember to take care of yourself! 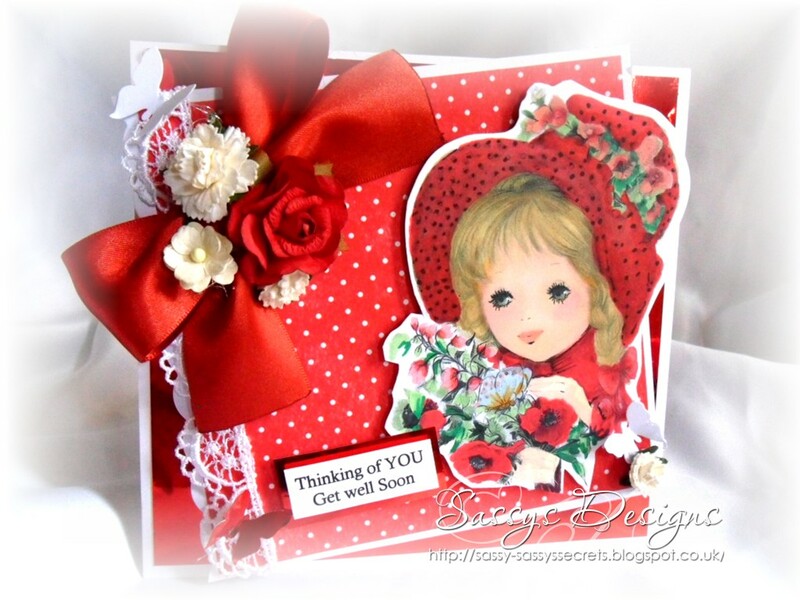 Gorgeous card Sassy,I love the red!! 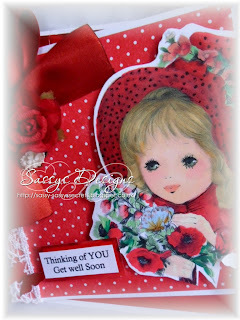 Hope you're feeling better soon,take care!! i hope you are feeling better soon ,take care. OMG Sassy, love your creativity,,,,,the back is so colorful, your ribbon stunning,,,,and the best is you coloring,,,,,,waht a sweet and adorable funny card you did my friend,,,very well done. Wowzer Sassy this is stunning, wow, the colours look amazing so bright and fresh that image is a pure delight so is the design and embellishments. Loving the red and your stunning ribbon and flowers! !